In some cases, however, it isn’t entirely clear what the impacts of water scarcity have been. According to the state Employment Development Department, farm jobs in California grew by 30,000 in 2015, the fourth year of the state’s historic drought. The same year, nearly half a million acres of farmland were idled because of a lack of water to grow crops. How is California’s agricultural industry actually doing? Economist Chris Thornberg says: Just fine. Citing the lack of farm bankruptcies, increasing land value and the bump in farm employment, he says that agriculture has been using water on low-value crops like hay that barely affect the industry’s bottom line when taken out of production. His implication: Why not just concentrate water use on higher-value crops? Similarly, the World Bank report finds that allocating 25 percent of the world’s water to higher value uses significantly reduces global GDP losses associated with climate stress and even increases growth. 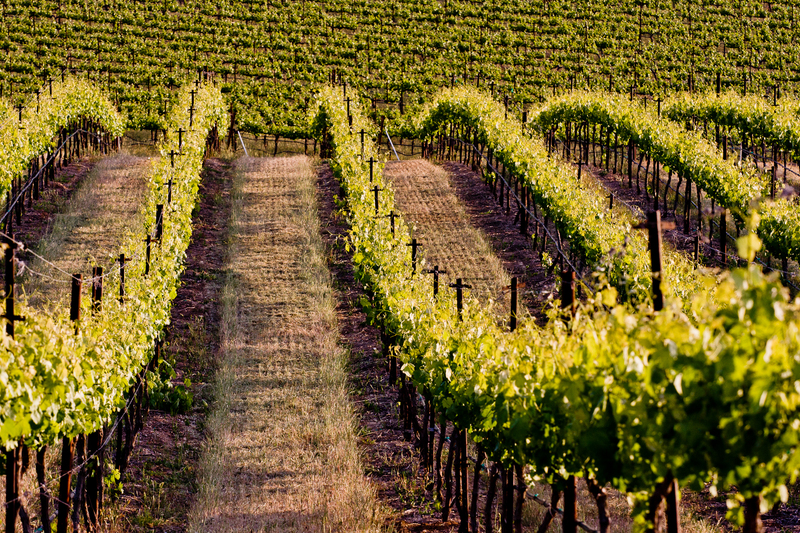 Tree and vine crops like nuts and grapes are generating higher revenues for farmers – prices are up. Because these permanent crops require more labor than field crops like hay, new jobs are created. But the proliferation of perennial crops has hidden, underground costs. Economist Vernon Crowder asserts that the apparent resilience of California’s agriculture is due in part to farmers’ ability to tap aquifers to make up for cuts in surface water supplies and support the year-round water needs of these crops. The state has drawn heavily on this historically plentiful savings account during the drought. Doing so has seriously harmed many of California’s disadvantaged communities and ecosystems, as well as increased costs to farmers. We’ve written before about how the Sustainable Groundwater Management Act will eventually arrest harmful groundwater overdrafts. UC Davis researchers put the cost of doing so in the Central Valley at $50 million a year or more. Not cheap, but the price we pay will only grow if we don’t act quickly and strategically. Water markets, which allow water users to buy, sell and trade water with each other, can lower the costs of ending groundwater overdraft and help make the most of the water that is available. At present though, it’s hard to find water to buy and often even harder to actually move it due to institutional roadblocks associated with its transfer. EDF’s recent white paper explains the why and how of designing effective markets that improve water supply reliability while enhancing and protecting environmental and community resources, including the farms and ranches that grow our food and employ an increasing number of Californians. I applaud Assemblymember Marc Levine, who has introduced a bill (AB 2304) that would help create the change we need to achieve this vision. While California agriculture has managed its way through the drought, the challenges that lie ahead will be significant. Thankfully, there are great opportunities as well. Working together and managing our water resources holistically can maximize benefit across sectors. For example, a crop mosaic can simultaneously help provide important habitat and species benefits and greenhouse gas emission offsets. With the right incentives for sustainable groundwater management and a well-functioning water market, we can keep our environment, communities and agricultural economies from being left high and dry. This entry was posted in Climate Resilience, Sustainable Agriculture, western water and tagged agriculture, california, central valley, Climate, climate change, climate-water nexus, drought, economy, environmental defense fund, farmers, global warming, groundwater, groundwater management, job creation, resilience, resiliency, sustainable groundwater management act, water management, water market, water scarcity, water use. Bookmark the permalink. Both comments and trackbacks are currently closed. The only solution is to retire large amounts of the least productive, most polluting, lowest water priority farmland. Groundwater has been overdrafted in CA even during the wettest years. The CVP was built to end the San Joaquin Valley overdraft but agricultural just expanded and the overdraft continued. We can move pieces around on the chess board but that won’t solve the problem. When farmers have to pay for groundwater on a sliding scale based on the amount of overdraft in the basin then the idea that water in infinite will end and some farmers will abandon their land. It is called a business decision and the taxpayer should not bail those who make bad business decisions. 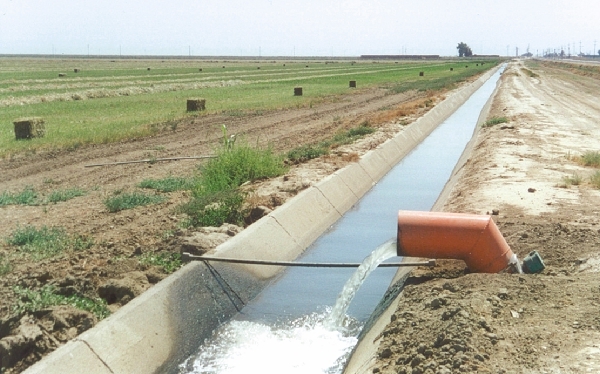 Many have indeed predicted that large amounts of irrigated acreage in the Central Valley will likely go out of production in order to successfully implement the Sustainable Groundwater Management Act and get basins into balance. Area-based assessments on groundwater extraction and other market-based mechanisms are examples of how to create incentives for pumping within the basin’s sustainable yield. Not all soils or locations in our state are suitable for vegetable or other “high value” crops. If our 900,000 acres of alfalfa were somehow converted to vegetable production, the markets would be glutted, the packing and processing houses overwhelmed, and the labor shortage would be acute. Alfalfa is an essential rotation crop for organic growers, and supports a dairy industry that provides milk for 32 million people. The cost (both economic and environmental) of importing all that perishable milk (from where?) would be substantial. That is true; not all lands are suitable to grow high value crops. Going forward, we need to make reasoned decisions about how to allocate limited resources based on the value they can return for our agricultural economies, communities and ecosystems.